No matter when it happens, the death of someone we care about has a huge impact on us. For those who are grieving, facing big, family-centred events like Christmas, New Year, anniversaries or birthdays can feel impossibly tough. We share five small ways you can help support a loved one through the holidays (and beyond). For many, the holidays are a time for togetherness with family, friends and loved ones. The thought of that first big event following the death of someone we care about can be extremely tough. For those who have lost a loved one, the festive season can be particularly tough as it can bring up memories of past holidays spent together. Grief is often compared to waves rolling onto a beach. Sometimes they are calm and gentle. Sometimes they are so big and powerful they can knock you off your feet completely. Big events like holidays, birthdays, and anniversaries can all be times where coping with grief can be even more challenging for those experiencing bereavement. Feelings of sorrow, anger, confusion and emptiness can all be part of a ‘normal’ reaction to the death of someone we care about. While there is no ‘normal’ length of time for bereavement, the persistence of certain symptoms over time like a constant, hanging cloud over everything rather than waves that ebb and flow can be a sign that someone you love may be experiencing depression rather than purely grief. Understanding our own emotions can be tough. Supporting others when we (and even they) aren’t sure what mixture of emotions they are dealing with can feel impossible. Make sure they know you are there to support and help them in any way you can. Let them know that they are loved, and there are people who care about them. Even if they may seem to be surrounded by people who love and care for them, they may still feel emotionally lonely. For those experiencing the chronic loneliness that can come after the loss of a close loved one, it can feel like a vicious cycle. They may feel isolated, unable or unsure where they can turn, or too scared to seek out help once the funeral or wake has happened and many others seem to have moved on. Remember to check-in with your friend or loved one as big milestones approach. 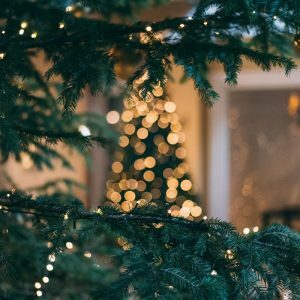 Whether it’s the first festive event since their loss or the fifth, it can still feel overwhelming and have a huge impact on them. It doesn’t have to be anything big; just a catchup over a cup of tea, or a call to chat and ask how they’ve been can make the world of difference if someone is feeling disconnected or alone. The first festive period after the death of a loved one can feel huge. It’s important to acknowledge this year will be different and tough for them (and for those who knew and cared about the person who is no longer with them). Try not to gloss over things, or pretend nothing has happened by just going ahead with plans as normal. Instead, it may be worth sitting down together, looking over your usual traditions and ways of celebrating to see if there may be anything they want to change if it may bring back painful reminders or feels too soon. This can also be a good chance to see if there may be any new traditions you can start together or they can try that make it feel like the person who died is still being remembered or included in some way. Continuing to feel like departed loved ones are part of holiday traditions can provide comfort and support whilst those who were close to them adjust to the loss and their grief. For many, grief isn’t something they ‘get through’ but instead becomes a part of them that allows them to still feel connected with loved ones, carrying a small part of them throughout their lives. 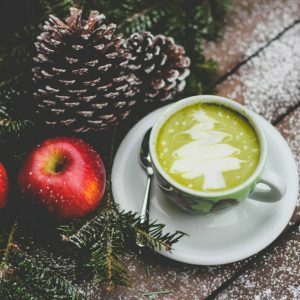 If you are looking for new ways to remember deceased loved ones, keeping favourite traditions of theirs going can be a good way to remember them each year, such as decorating the family tree together, going on pre-holiday dinner walks, or making their favourite dish as part of the festivities. New traditions, such as revisiting places where you have fond memories of the person who passed, or doing an activity that you used to enjoy doing with them whilst they were still alive can all be ways of celebrating their memory and feeling like they are still part of the big day. If you are worried it may be too soon or could be upsetting for others who were close to the loved one who has passed, try and make time to sit down together and discuss plans ahead of time. This can give everyone the chance to say what they do and do not feel comfortable being included in, and may reveal other ways you can celebrate or remember them over the holidays. No-one is going to say being sensitive and cautious in your approach is a bad thing, but it’s important not to let your fear of saying or doing the wrong thing stop you from reaching out and supporting someone you care about through such a difficult time. The last thing we want is to seem as though we either aren’t there for them, or we don’t care. It might feel like you don’t know the right thing to say or do – but there often isn’t a ‘right thing’ in the first place. Nothing we say is going to fix the feelings of loss they are experiencing. If we allow our fear of getting it wrong to rule us, we risk not being there when we are needed the most. You don’t have to have all of the answers, give advice, or get everything ‘right’. Just being there, having your presence, and knowing that someone still loves and cares about that is what really matters. Everyone grieves differently – not only in how we express and experience grief but how long and how intense we may feel it. Try to be supportive by being there for them emotionally. If you can be there physically to offer help in practical ways, great; if not, don’t become a stranger – reach out through a call, text, on social media, even by email or letter. Just knowing someone is still thinking about them can be a great comfort. Don’t be afraid to ask how they are feeling (and be ready to accept those feelings, no matter if they are anger, sadness, loss, or loneliness) and be genuine in your communications. Sometimes, just sitting together in silence can offer comfort. If they are ready to talk, be open to listening as they share their feelings and be ready to acknowledge the situation. Talking bluntly about death is tough; it’s much easier to soften our language or avoid mentioning it altogether, but by keeping how we talk about the death of someone we cared about simple and straight-forward, it can help show we are open and willing to talk frankly and clearly with them if (and when) they are ready. No matter how nervous you are about saying the wrong thing, make sure you keep in contact and don’t start avoiding them. By changing our behaviour to avoid someone who is grieving either in-person or online, this can be both hurtful and confusing for them, potentially leaving them feeling even more alone and isolated. Try to keep in touch whichever way works best for you – just do your best to continue being there if you can. Our first instincts when faced with someone we love who is hurting, can be to try and fix things or show how we empathise with them by comparing their situation with experiences of our own. Grief and bereavement are very personal experiences. By saying ‘I know just how you feel. When my loved one/friend/pet died…’ we can come across as diminishing or downplaying their experiences or putting our bereavement above their own. The way we each handle and process our grief is unique, just as every person is different. Instead, try acknowledging how they are feeling without making direct comparisons. Focus on comforting gestures and words over trying to ‘make things better’ or ‘finding the bright side’. In many ways, time can heal wounds and things probably will get better – but saying these things in the moment isn’t helpful or empathic. Where possible, avoid offering unsolicited advice. Try and ask them directly how you can help and support them, or try and just be there for them. Sharing time together over a cuppa can have a bigger impact than you may realise. Being there for others is important, but it’s just as important to make sure you are still looking after yourself. You can’t fully support someone and be there for them unless you are practising self-care, as well as making sure you are feeling supported and in a position where you can continue helping others. Take time to recharge, refocus on how you are feeling and look after your own mental health and well-being. If you are feeling overwhelmed, try and make a little more time for mindfulness in your day-to-day life. It doesn’t have to be big or complex; try a mindfulness app that offers short three to 25-minute meditations, give mindful colouring a go, or just take 10 minutes over a cup of tea to focus on the moment, be present, and strengthen your connection between your mind and body. 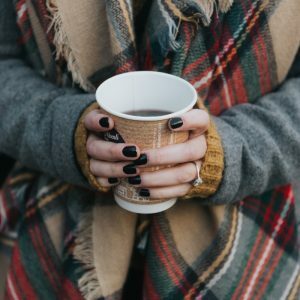 Take time to recognise how you are feeling – not only emotionally, but the physical sensations of the warmth of your mug; the movement of your chest as you inhale and exhale; the scent of your tea, and the space around you. 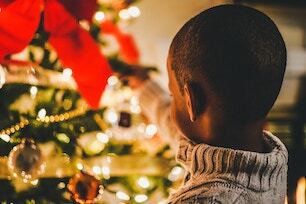 If you’re worried about putting your obligations ahead of your own mental health or well-being, try these simple tips to help you take back control and stop putting yourself last on your to-do list of important things over the holidays. You can’t be expected to always be there for others or to always know what they need. Communication is key – not only in asking what others need but in expressing what you need too. If you need to take time for yourself, there’s no shame in saying so or taking a break to look after you first then help others. If you feel like you, a friend or a loved one are struggling with grief or bereavement, discover more about bereavement counselling or find a grief therapist near you.